A piglet drinking bacon on the label……. The thing that really bothers me is the “4 Nutritional Servings of Bacon in Each Scoop” bit. And the fact that you’re teaching your kid how to be fat from birth. And since when is even one serving of bacon “nutritional”? Yeah, because I go to the local supermarket and buy cart loads full of it. 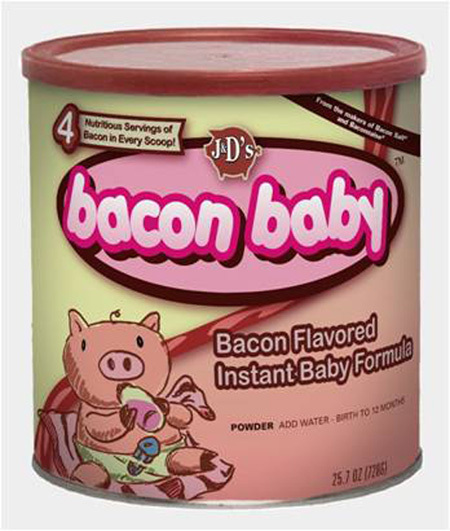 for making instant bacon flavoured babies?